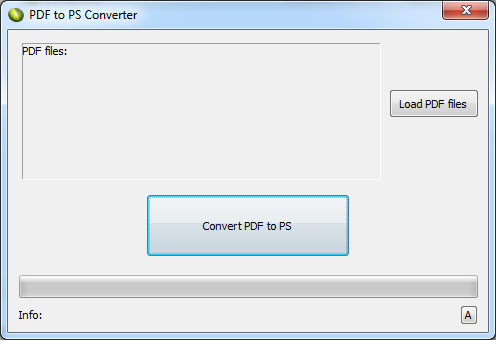 LotApps Free PDF to PS Converter can help you convert PDF to PostScript (PS) file without requiring any Adobe product. free and quickly. PostScript file is a program with breakout commands for output devices. Initially each PDF file is created from PS source. And if you need to receive a source of PDF file you have, you can do this with the help of PDF to PS converter. PDF to PS Converter can help you convert PDF to PostScript (ps) in very short time. PDF to PS Converter supports Batch Mode that converts a lot of PDF documents into postscript files at one time.